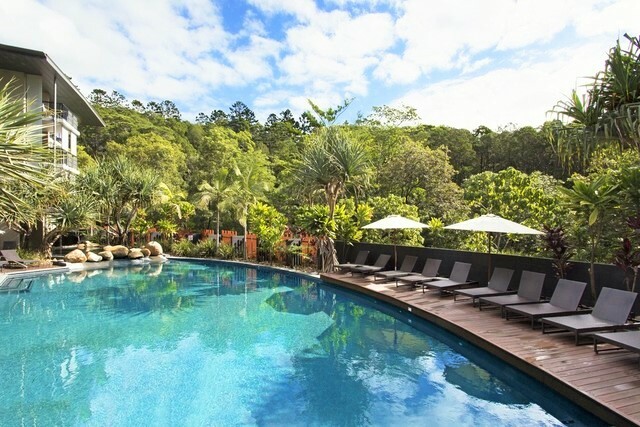 Peppers Noosa Resort & Villas is set in the serenity of Noosa National Park overlooking the luscious rainforest and beautiful beaches of the Sunshine Coast’s most famous region. From opulent rooms, apartments, and villas to exemplary service from arrival to check-out, to exquisite facilities this resort will leave you utterly satisfied, and never wanting to leave! The atmosphere of the resort is akin to Noosa itself – relaxed. It is unlike your average hotel, confined to a single building, Peppers Noosa lavishly sprawls itself across the Sunshine Coast landscape giving the entire resort a feeling of spaciousness and removal from the hustle of the daily grind. 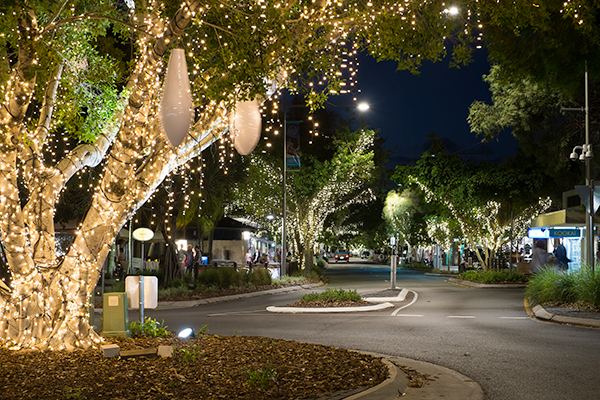 Although you feel a million miles from civilisation and even have the hinterland and coastline views to prove it, it is unbelievably just a 5 minute walk down a private path to Hastings Street – the heart of the action in Noosa! There are even golf buggies that frequently do loops up and down the pathway if you’re feeling like getting there quickly or saving your feet for traversing up and down one of Queensland’s most famous shopping and dining districts! The resort rooms and apartments are appointed with designer features with each room type boasting fully-equipped kitchens with modern appliances, complimentary WiFi, cable TV, laundry with washer and dryer, and both air conditioning and ceiling fans. While the studio rooms don’t boast incredible views, they are spacious and have the same beautiful designer finishings and ultra-comfy beds as the apartments and are perfect for a shorter or impromptu getaway. Both the 1 and 2 bedroom apartments are the epitome of elegance with direct dial phone, in-room safe, and kitchens that will leave you wanting to remodel your home to match! You can appreciate the creations you whip up in the designer kitchen (or have delivered from room service ;)) alfresco-style on your private balcony, which feels like a continuation of your open living area. 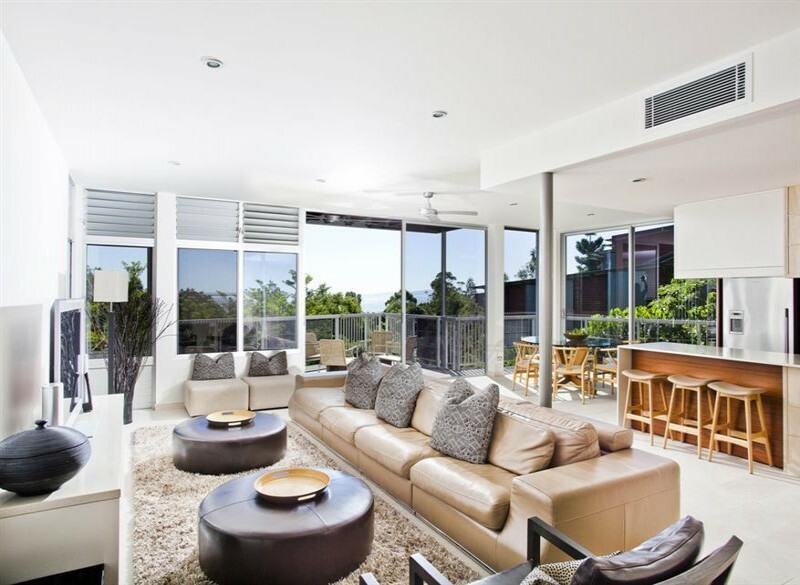 Finally the 3 bedroom penthouse steps up the opulence with superb views over Laguna Bay and the tree tops of Noosa National Park as far as the eye can see. Imagine yourself spending candlelit evenings watching the sunset over the coastline, wine or cocktail in hand. These apartments sprawl themselves over the top level of the building with immaculate features including beautiful glassware in the kitchen to luscious amenities in the bathrooms. 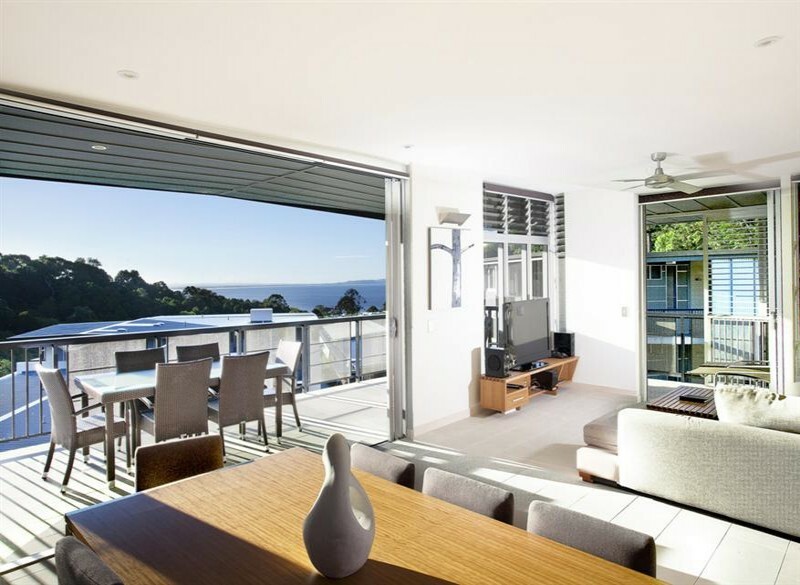 You will want for nothing in a Peppers Noosa penthouse. For longer stays, larger families, groups travelling together, or those who simply appreciate the finer things in life Peppers Noosa Resort & Villas offer you the best in Sunshine Coast accommodation with 2, 3, and 4 bedroom luxury villas. These indulgent homes are spread across two or three levels of utter luxury and are peppered with special touches including a personal concierge, hamper of locally sourced produce, weekly servicing, a private garage, and complimentary transfers into town. 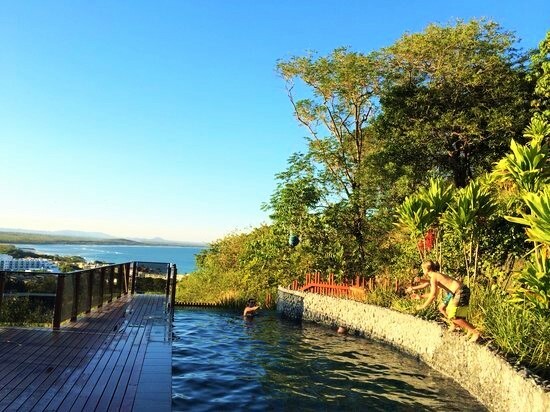 Did we mention villa guests also have exclusive access to the private Brooke’s pool situated high above the resort boasting phenomenal vistas? Every detail in the villas has been created with luxury and comfort in mind from the impossibly soft bathrobes to the chic furniture to the extravagant living areas that open seamlessly onto the expansive balconies perfect for entertaining. With the absolutely flawlessness of the villas you will never want to leave your accommodation! However, if you do manage to pull yourself away you will be rewarded with first class facilities within the resort including the divine restaurant – The View, that has a menu to ruin all others designed personally by the Peppers Noosa Chef with an emphasis on modern share plate dining. The restaurant has also been recently renovated to better display the beautiful views and open atmosphere of the resort. Indulge in a treatment at Stephanie’s Ocean Day Spa and View, with 11 deluxe treatment rooms including the Geisha bathing suite, there is a treatment style to suit everyone. 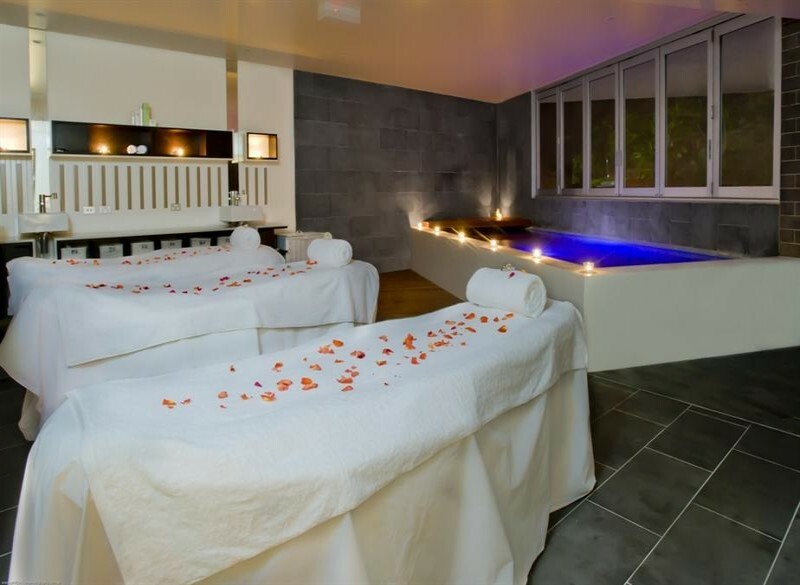 The spa specialises in accommodating couples and groups, so you can stop by for a romantic couples massage or have a girls day at the spa trying a blissful Vichy rain therapy treatment or give vinotherapy a whirl. No matter what your choice, the experience will be unforgettable. Another stop well worth peeling yourself away from your amazing accommodation is the heated lagoon pool equipped with plenty of deck space filled with sun lounges, and seasonal pool bar. This is a central spot in the resort with a lovely vibe. For a more private swim, the 25 metre lap pool is less frequented by resort guests. The resort is also equipped with a sauna and gym so you don’t have to feel guilty enjoying The View’s amazing cocktails and desserts on your holiday. 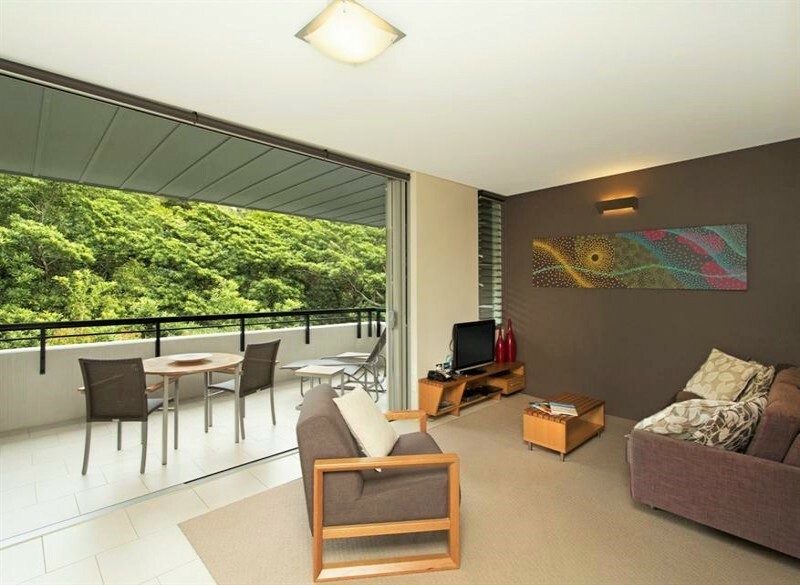 After checking into Peppers Noosa, surrounded by luscious greenery, quite serenity, and luxurious privacy it will be easy to forget you are still in the heart of town! A short 5 minute walk down a private pathway will have to in the heart of Hastings Street, where world class shopping, dining, and beaches await! Spend your days strolling through boutiques, stopping only to refuel with divine coffee, cake, and gelato. Or let Dad take the kids for a surfing lesson while you lounge on Noosa beach with a good book. 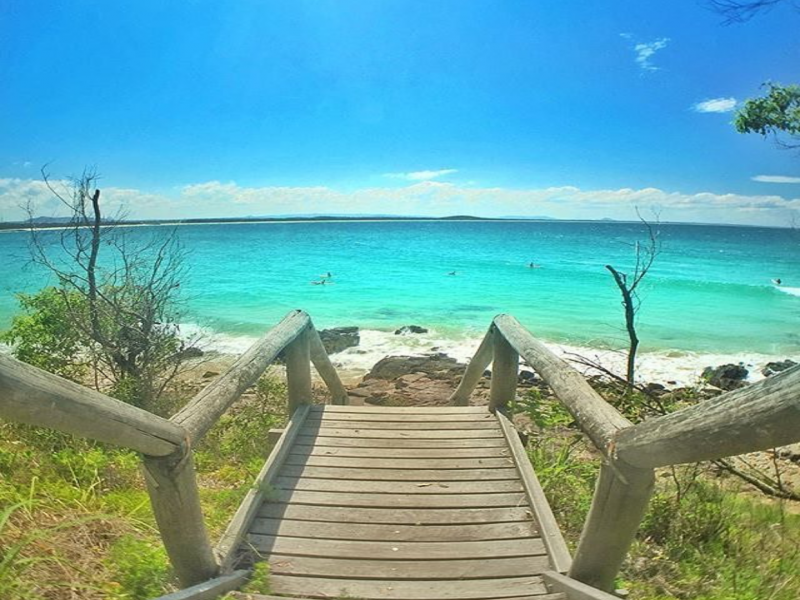 Perhaps you’d prefer to race down and jump on a kayak or stand up paddle board and explore the waterways before rewarding yourself with a hearty lunch at Noosa Surf Club? You are absolutely spoilt for choice as to how to spend your holiday when you stay in the heart of Noosa. In fact you can ask the holiday experts at Discover Queensland for the best tips when you call 1300 788 553 and have them arrange your next luxury Noosa escape. 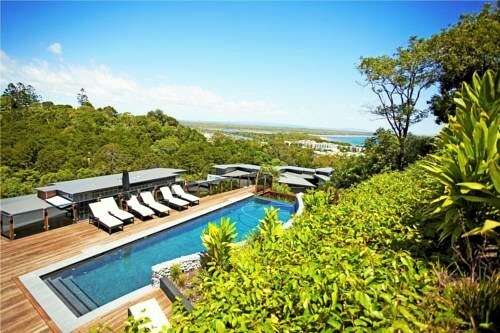 For a refreshingly different yet indulgent holiday escape, Peppers Noosa Resort & Villas in Noosa is the place to be. With sun drenched sands and clear blue waters within reach, our luxurious Noosa accommodation is the pick of resort options near Hastings Street.